There’s nothing worse than when you style your hair just right, but it loses its form after a few hours. But don’t worry, it’s not your hair’s fault! You just need a specially formulated hair gel that can lock-in your favorite look all day long, and Smooth Viking has exactly what you’re looking for. This Medium-Hold Styling Gel features the perfect blend of ingredients that will keep your classic, modern, messy and manly hair nicely formed. Featuring an blend of Green Tea Extract, Ginseng Root Extract, Vitamin B5 and Organic Chamomile, your hair will not only look great, but it’ll even feel great after you’ve finished. A great looking beard is only half the battle. Stick with Smooth Viking for the best men’s hair care products around. 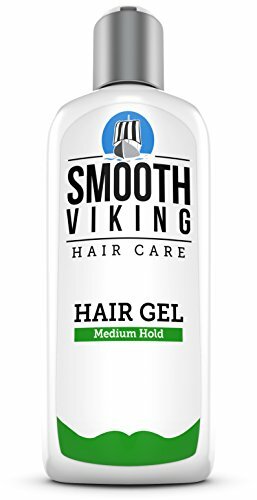 Lock-in the Look You Want – Smooth Viking’s Medium-Hold Hair Gel is a premium styling gel that provides supreme long lasting shape, shine and firmness, while also coating the hair with natural nutrients that will keep it looking healthy and strong. Great Ingredients for Great Looking Hair – Styling gels don’t have to be harsh on the hair and scalp, and this unique formula proves it. Along with its specialized blend of firming ingredients, this Medium-Hold Hair Gel also features natural and organic ingredients such as Green Tea Extract, Ginseng Root Extract, Vitamin B5 and Organic Chamomile to help nourish the follicles and skin while you’re sculpting your ideal look. No Hairstyle Is Off-Limits – Hair comes in all sorts of shapes, lengths and styles, which is why this Hair Gel was methodically formulated to work effectively on any hair type. Whether your hair is short, long, wavy, thick or thinning, Smooth Viking’s Medium Hold Hair Gel will get the job done. Give your hair the extra hold it needs in order to achieve a slick, classic, pomp, matte or dapper look that lasts all day long. A Low Maintenance Solution for a High-Profile Look – You’re a busy guy that doesn’t have time to stand in front of a mirror all morning just to get your hair just right… right? With Smooth Viking’s styling gel, you can cut down on those unwanted high-maintenance hassles and achieve the look you want in just minutes. All you have to do is apply a small amount to damp or dry hair, and sculpt your hair with your fingers, comb or brush. That’s it! An Effective Hair Gel from a Brand You Can Count On – With Smooth Viking, you won’t need to worry about putting mystery ingredients in your hair. This Medium-Hold Hair Gel is loaded with only the finest ingredients around to ensure you’ll have your ideal hairstyle in no time, and is proudly made in the U.S.A.
No risk of skin injury! We offer body hair removal products which give smoother, longer lasting results than shaving. Who wants a fuzzy upper lip, a furry chin or cheeks covered with unsightly hairs? Facial hair removal can help you de-fuzz your complexion to leave your skin feeling smooth, but so many products on the market today are messy, difficult to use, hard on the skin and incredibly painful. With all the discomfort and inconvenience, you may think it’s easier to just live with unwanted facial hair, but you don’t have to. 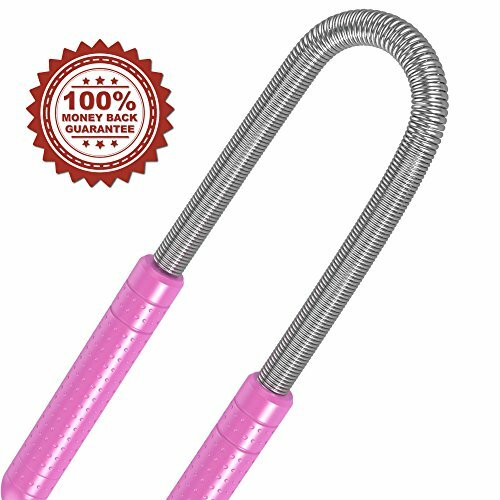 The Bellesentials Facial Hair Remover Threading Tool will whisk away those unsightly hairs quickly, effectively and PAINLESSLY!! Constructed out of stainless steel, this Facial Hair Remover is a long, lightweight threading tool that traps hairs between its coils. Bend it into an upside-down “U,” hold it against unwanted hair and then twist. The tool instantly pulls hairs out of the follicles, roots and all. The process is incredibly quick and absolutely pain free! When compared to other facial hair removal methods, this Threading Tool is the smarter, safer choice. Because the entire hair is removed, results can last for 4 to 6 weeks, much longer than what’s possible with depilatories, trimming or shaving. You can treat areas much faster than you can with tweezers, and the ouch-free technology makes it the obvious winner over waxes and epilators. Safe for all skin types, and produces results without damaging the skin. Compact in size, easy to store and ready to travel wherever you go. 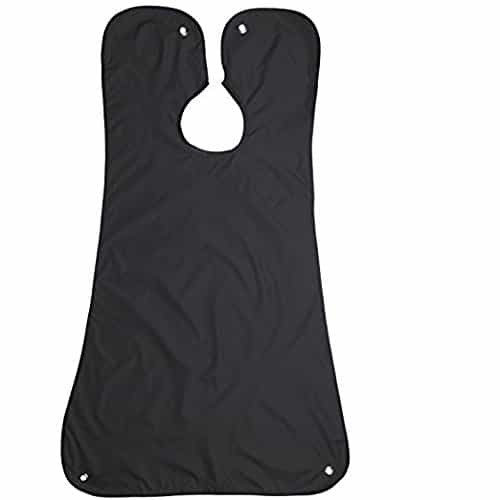 The tool features ergonomic, easy-to-grip handles to make it very easy to maneuver. You’ll get flawless results with the very first use! Stop spending hours plucking hair with tweezers. Rid yourself of the redness that comes with depilatories and bleaches and kiss the pain of wax and epilator goodbye. Remove facial hair the ouch-less way and get silky smooth skin that lasts for weeks! Order the Bellesentials Facial Hair Remover Threading Tool now. BE HAIR FREE, PAIN FREE Unique facial hair removal de-fuzz the face without the ouch. Easy to use and effective in removing facial hairs on your face especially on the upper lip and chin area. Use it as often as you like at the comfort of your home. SMOOTH SKIN THAT LASTS Results from spiral threader outlast those from depilatory, shaving and tweezers. It will pull hair from the roots and won’t grow back. Overtime, you will find you use it less and less frequently. READY TO TRAVEL Compact and lightweight, it’s the perfect solution for unwanted hair on the go. Inexpensive, safe, fast and effective. This is the best epistick in the market. Buy only from Bellesentials for original and authentics beauty tools. Our products always comes with 100% money back guarantee!